USA - "At the Alvin Ailey American Dance Theater, we have always considered sound a key element in the performance itself," shares audio engineer Russell Cowans. Joining the company in 2011, Cowans quickly learned that almost every element of the production is given artistic attention, much like the dancers themselves. "Each detail must come together to compliment what the movement on stage is trying to convey. Every decision we make for the sound system goes to support that end vision. For audio, that means everything from volume level, allowing the dancers to feel their movement and be energized by the sound, all the way to equipment proportions, so as not to interrupt the sight lines to the dancers. It is about the whole package coming together, and it is amazing to work with a company who gives priority to that." 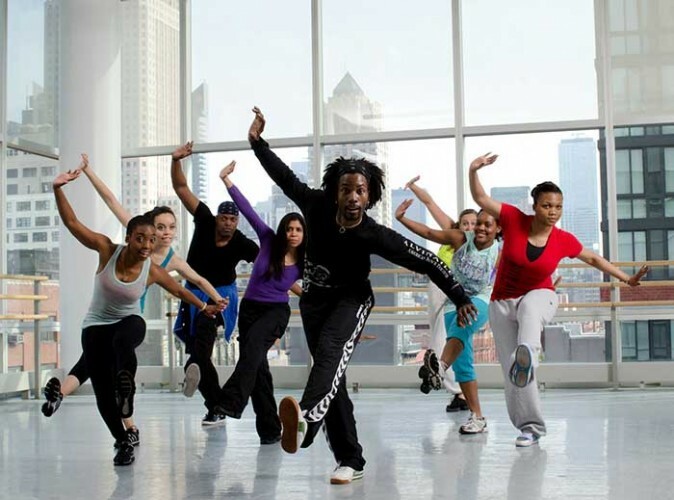 Along with providing regular classes at the Joan Weill Center for Dance and bi-annual seasons at City Center Theater and Lincoln Center in New York City, the Alvin Ailey American Dance Theater spends the majority of the year touring the globe. Needing to adapt to any number of venues and performance spaces, it was important to find a scalable system that could load in and out with ease. d&b Regional Manager for the Northeastern United States, Michael Eisenberg, is confident "The V-Series, along with the brand new D80 amplifier, fits their needs. It is extremely versatile and the ArrayCalc workflow provides precise predictions, allowing set up to happen quickly and without hassle, which is crucial for their touring company. The V-Series offers a lot of power for its small format package. The audience is able to get the energy they need, without the loudspeakers disrupting the aesthetic." "It is important to understand the progression of sound systems and recordings at Alvin Ailey," adds David Gibson of Gibson Entertainment Services, who provided not only the tour's most recent system from d&b audiotechnik, but who also began his career with the company and has contributed greatly to their audio evolution. "When I began in the early nineties, we were still using analog open reel tapes, mostly played back in mono. I first discovered d&b audiotechnik while on tour in Europe during the mid-nineties, before their loudspeakers were even available in the US. The artistic staff and I noticed an immediate difference in the clarity of the sound. In this most recent audio upgrade, we auditioned several systems. Now that d&b has become a leading system provider in the American market, it was an easy choice for the company's artistic and technical staff. For them, nothing could compete with it." "Having perspective of where we've been, and experiencing where we are now is truly amazing," continues Gibson. "Slowly, over the years, we've been able to shift systems to provide higher resolution audio, and manage the recordings in a way which aids in creating a canvas for the dancers. This company is currently dealing with the loss of two very influential men: senior director of production and performance, Calvin Hunt and technical director, Edward J. Corrigan. They were major driving forces in our continued goal of the highest level of production values, and Alvin Ailey, along with Gibson Entertainment Services and d&b audiotechnik, is committed to continuing their legacy. I believe our newest audio advancements do just that. It is our job to support the true nature of the performance."